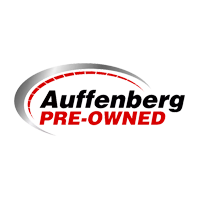 There are a number of reasons why so many drivers flock to the Auffenberg Dealer Group showroom; we’ll do our best to outline them all for you. First and foremost, we’re renowned in the greater O’Fallon, Belleville, and St Louis, MO areas for our superb selection. 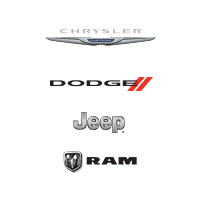 Our dealership features Chrysler, Dodge, Ford, Hyundai, Jeep, Kia, Nissan, Mazda, Ram, Volkswagen, and more. We make it easy for the O’Fallon driver to swing by and explore nearly all of their options — especially with our extensive used vehicle inventory. We also have a wide range of Certified Pre-Owned models that benefit from used car savings with new car warranty protections. If you want a selection of new cars for sale near O'fallon or Caseyville, you’ll see why locals say Berg is the word. When it comes time to upgrade, many of our loyal customers return to trade in their vehicle. These used cars are also offered to our valuable customers, some are even certified with the same guaranteed performance and quality as new ones. Helping you find your next car is only the beginning of the Auffenberg Dealer Group experience, though. From there, our team of financing experts will help you drive home that car you’ve been eyeing on your terms. Of course, nobody wants to be forgotten after the purchase of a new or used Ford, Nissan, Volkswagen, Mazda or Kia. That’s why we staff a state-of-the-art auto repair center is highly trained and equipped with the latest OEM parts. Interested in utilizing one of our areas of expertise? Come visit us at 187 Auto Court, O'Fallon, IL for all your automotive needs and an experience that’s satisfying, worry-free, and at your convenience. Drivers choose to come to Auffenberg Ford O’Fallon when they need a reliable vehicle, from the Focus to the Fiesta to the Fusion to the F-150. Our northern Ford dealership, Auffenberg Ford O’Fallon has a state-of-the-art service center, a selection of new and certified pre-owned Ford models, and a wide range of used cars. 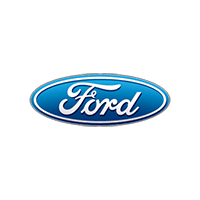 With convenient on-site financing, we make it easy to afford your next new or used Ford. Visit us today. When O'fallon drivers need a fuel-efficient small car like the Focus or a dependable truck like the F-150, they make the trip to Auffenberg Ford Belleville. One of two of our Ford dealerships, Auffenberg Ford Belleville is the place to go when you need a vehicle that’s truly built Ford tough — and our Ford-trained technicians can take care of your vehicle’s serious repairs and maintenance needs. 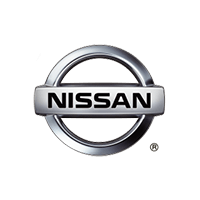 Auffenberg Nissan is proud to be O'Fallon’s source for new and used Nissan models, from the efficient and affordable Altima sedan to the family-friendly Nissan Rogue and Pathfinder. With a wide selection of new and Certified Pre-Owned Nissan models to choose from, Auffenberg Nissan makes it possible for area drivers to have more choices in their car search. Our state-of-the-art service center has techs trained in the ins and outs of Nissan models, too, so you can know yours is held to the highest standards. Visit us today. Few automakers have the legacy of Volkswagen, builders of dependable and affordable cars and crossovers for the better part of a century. Whether it’s the iconic Beetle, the efficient Jetta, or the Atlas family SUV, VW has a vehicle for everyone. At Auffenberg Volkswagen, we stock the full lineup of new models and occasionally have some of those world-renowned models like the classic Beetle or Bus in our inventory. When O'fallon drivers need a dependable used car, they choose Auffenberg Dealer Group for a reason. We pull from one of the widest selections of automakers, allowing us to have hundreds of used cars in stock at a given time, from Ford to Volkswagen and plenty in between. Thanks to the Auffenberg Honesty Policy, you know you can trust each vehicle you drive home from us — and we’ll help you get top dollar for your trade. Ram has earned a reputation as the truck brand with the most loyal drivers, and we’re proud to help O'fallon drivers find the pickup they need. Auffenberg CDJR stocks the full line of Chrysler, Jeep, Dodge, and Ram vehicles, giving O'Fallon residents plenty of options for family vehicles, powerful sedans, and off-road SUVs in addition to work-friendly trucks and vans. Kia has one of the most extensive warranties in the business and one of the most affordable lineups. Whether you’re eyeing the cool Kia Soul, the efficient Kia Rio, or the family-friendly Kia Sorento, we think there’s a model at Auffenberg Kia that’s right for you. You’ll also find a wide range of Certified Pre-Owned Kia models, and our Kia-trained techs will have your car in and out of maintenance in no time. When you want a car that’s as stylish as it is practical, you don’t have to go far from East St. Louis. At Auffenberg Mazda, we have one of the most head-turning lineups of cars and crossovers on the market today. From the now famous Mazda3 sedan and hatchback to the spacious CX-9 crossover, we think there’s a vehicle for everyone under the Mazda banner — especially if you’re looking for an affordable new roadster like the Mazda MX-5 Miata. And when it’s time for the latest Mazda to grace your garage, we’ll help you get top dollar for your trade. When Caseyville drivers enter the market for a new car with America’s Best Warranty, they choose Auffenberg Dealer Group and visit Auffenberg Hyundai. Is there a better mix than the Auffenberg Honesty Policy and Hyundai’s incredible auto warranty? 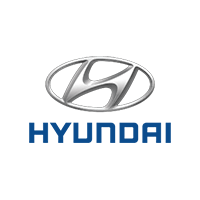 Find your new Hyundai at Auffenberg Dealer Group, and know that you can keep coming back to the dealership area drivers know and trust when you need an oil change or a tire rotation. And when it’s time to upgrade your ride, we’ll help you get top dollar for your trade.